Maybe som e day we’ll look back on the role of the manager in our organizations and laugh. 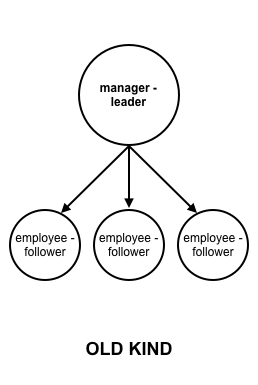 In the old model, managers are the leaders, employees are the followers. Managers don’t follow, employees rarely lead. One of my pet peeves is when people use the words manager and leader interchangeably. We all know of managers who are terrible leaders and leaders who are terrible managers. Yet so often managers are given leadership status by default. Does it have to be that way? 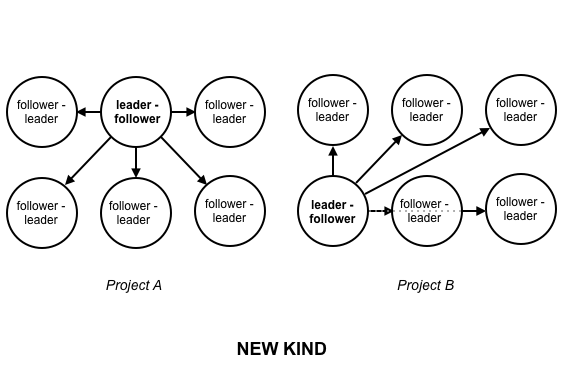 In the new model, everyone is a leader and everyone is a follower…of something… but the people who are leading and the people who are following change regularly project by project or task by task. For example, let’s say our team has been tasked with building a rocket-propelled pogo stick (because the pogo stick was never just a fad, right?). In our little meritocracy, one of the team members has proven over time that she knows more about rocket propulsion than anyone else. When she schedules a meeting to discuss rocket propulsion techniques, people show up. When she says something will work, it usually does. In this case, the job actually does require a rocket scientist, so everyone is happy that she is the leader of the rocket propulsion aspect of the project. Does she get a fancy title like “Senior Director of Rocket Propulsion Technology” or something like that? Not necessary here. She just humbly leads the rocket propulsion activities, and other people follow her lead. Now this same woman knows absolutely nothing about marketing. Worse than nothing. She couldn’t market a glass of water to a man dying of thirst in the desert. But she is still eager to help the team if she can, and really wants to learn more about marketing. Fortunately, we have a guy who is a marketing guru. Everyone loves him and he has a long history of successfully marketing new types of pogo sticks. He is glad the rocket scientist wants to help on his marketing plan because he knows that having diverse perspectives are the key to getting the best ideas. He is a humble leader of the marketing efforts, not because of some big fancy title or a box at the top of an org chart, but because people are willing to listen to him and do what he says. I’m the manager of the project. Which might sound glamorous to you, but it is really just another role, one I was given because the team trusts me to be organized and good at keeping projects on track (did I mention this is a fictional project?). We have one person leading rocket propulsion, one person leading marketing, one person leading project management, and probably and handful of people leading other tasks, both large and small. Perhaps there is even one overall project leader who, again, has that role not because it is some sort of glamorous titled position, but because they happen to be very good at getting different parts of the project collaborating and seeing the big picture. Sound overly idealistic? Wouldn’t ever work in your organization because of the politics or other considerations? You might be right. 1) a shared sense of purpose where everyone has the same goal and the team goal is more important than individual goals. 2) deep trust between team members and a culture of respect and humility. 3) a leadership culture, not a management culture. Let me share one example from the open source world that has blown me away. Over the years, The Fedora Project, at least from where I sit, has been a model of a leadership culture. I’ve watched as one great leader after another, from Michael Johnson, to Cristian Gafton, to Greg Dekoenigsberg, to Max Spevack, to Paul Frields, has finished a successful stint as Fedora Project Leader and then willing passed the baton on to the next leader in line. In fact, Paul just finished his turn as leader a few months back. Paul’s note announcing the new Fedora Project Leader made me happy. It articulated all three of the points above, showing leadership, humility, and a willingness to do what it takes to serve the project purpose above personal aspirations. I remember Max and Greg expressing similar sentiments as they were ending their terms as project leader. One of the hallmarks of Fedora leadership is that it’s open to change. The [Fedora Project Leader] is not a semi-benevolent dictator for life, but rather a position to which new people can regularly bring their passion for making Fedora better. And so, just as previous FPLs announced their readiness to search for the next leader, I did so a few months ago, in the spirit of openness and transparency that’s a hallmark of the Fedora community. I love Paul’s view of leadership, where it isn’t a right granted for life, but instead a mantle that is earned through skill, hard work, and passion. And one that he was willing to give up in order to make room for a new leader. Anothing thing I love about The Fedora Project’s leadership model is that the Fedora Project Leader isn’t the only leader around. Fedora is chock full of leaders of all sorts of sub projects and initiatives big and small. Fedora is always training the next generation of leaders, which makes it easy for people like Paul, Greg, and Max to step aside when the time is right. As we look toward the future of management, perhaps we should begin to view the manager function as a craft, much like marketing or rocket science, that certain people lead better than others. If you believe managers as they exist today serve a necessary function in your organization, by all means, keep them. Just don’t automatically grant the mantle of leadership to every manager, and don’t make every leader take on the roles of management as well.